Located just steps from the beach, this lovely apartment in the Barceloneta neighborhood is the ideal choice for your stay in the Catalan capital. The area has plenty of amazing restaurants, where you can try the best seafood of the city. There are also plenty of supermarkets and bars, as well as a shopping center nearby. With the metro in close proximity, as well as being a mere 10 minute walk from the historic downtown, all of Barcelona will be at your fingertips! 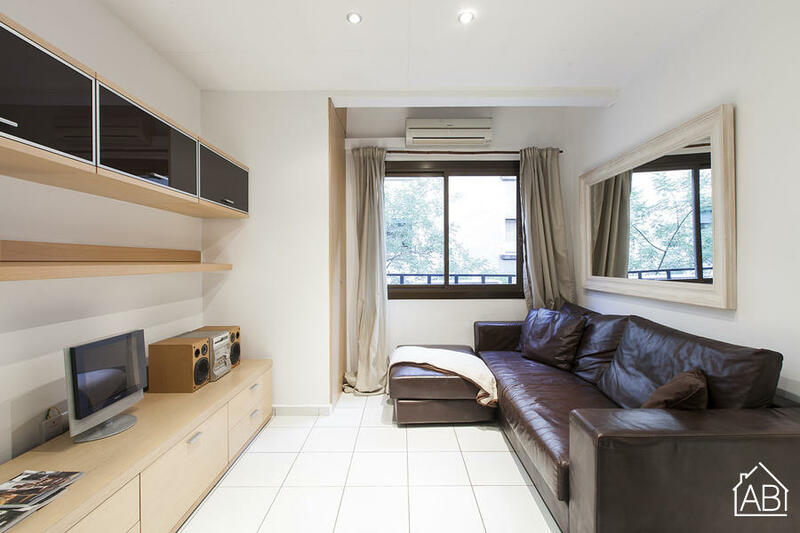 This 2 bedroom apartment is able to accommodate up to 3 people in total. The main bedroom has a double bed and the other bedroom has a single bed, making it ideal for couples or small families. The kitchen is well equipped with all the utensils and appliances needed to create your own home-cooked meal. The living room is furnished with a comfortable sofa and a TV. The apartment comes with plenty of amenities, such as WiFi connection, dishwasher, washing machine and air conditioning, everything you need to feel right at home.